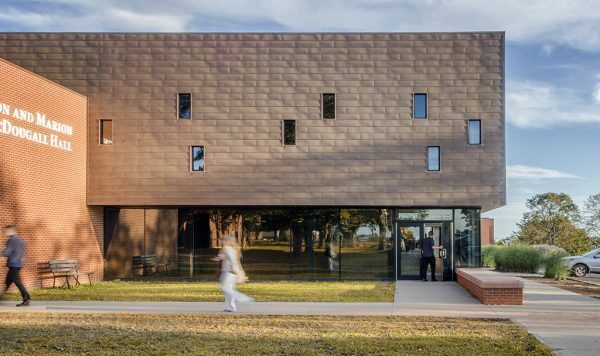 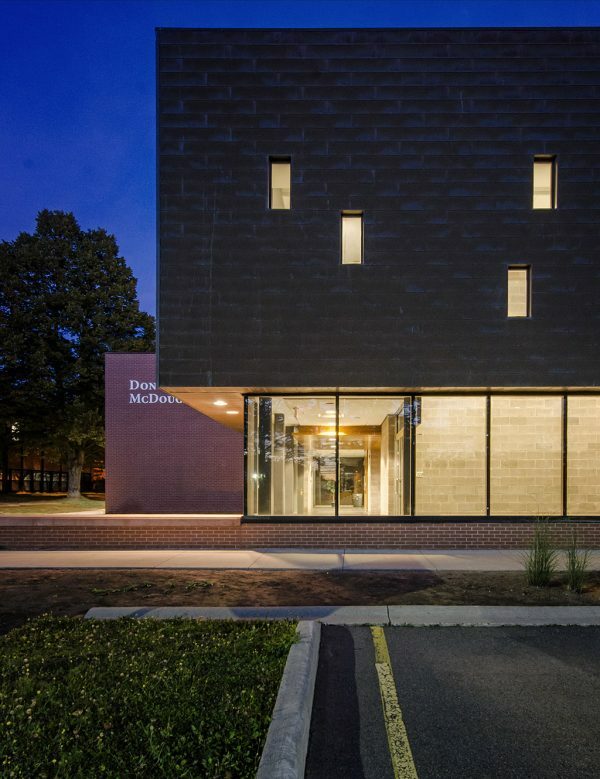 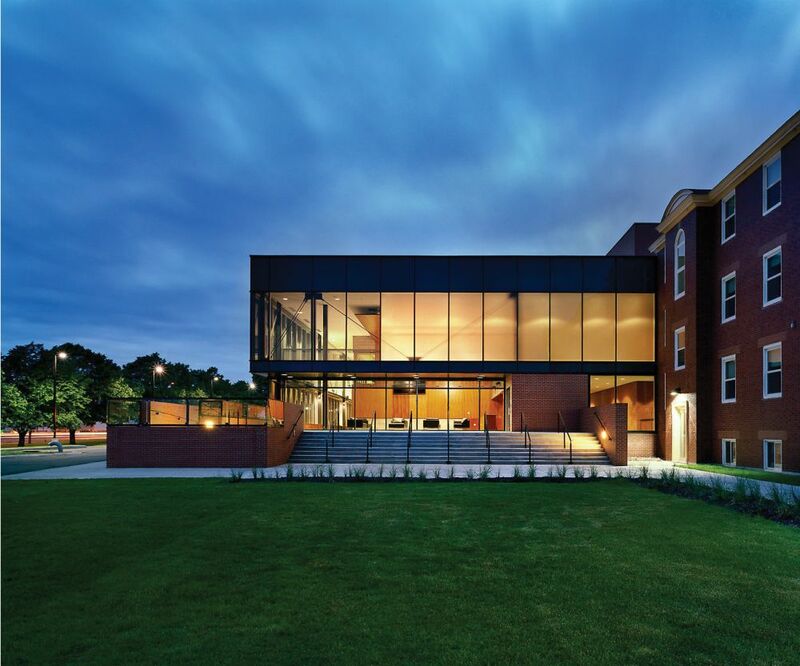 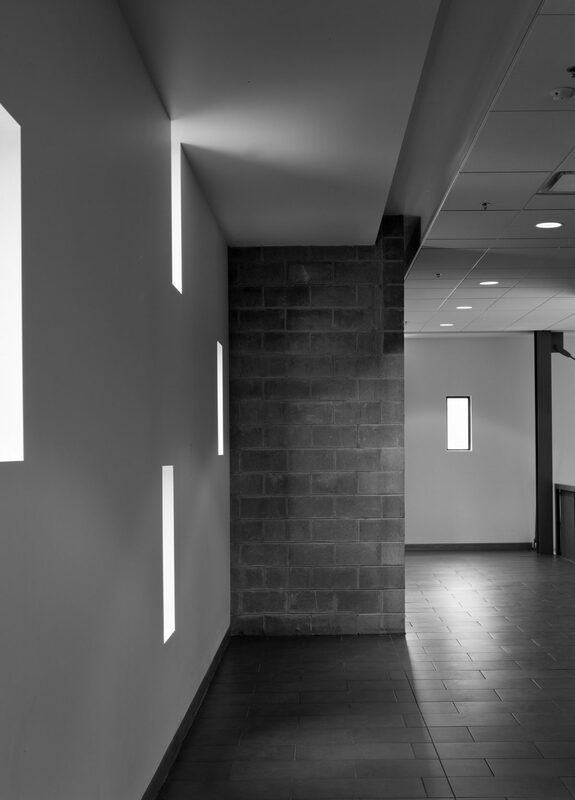 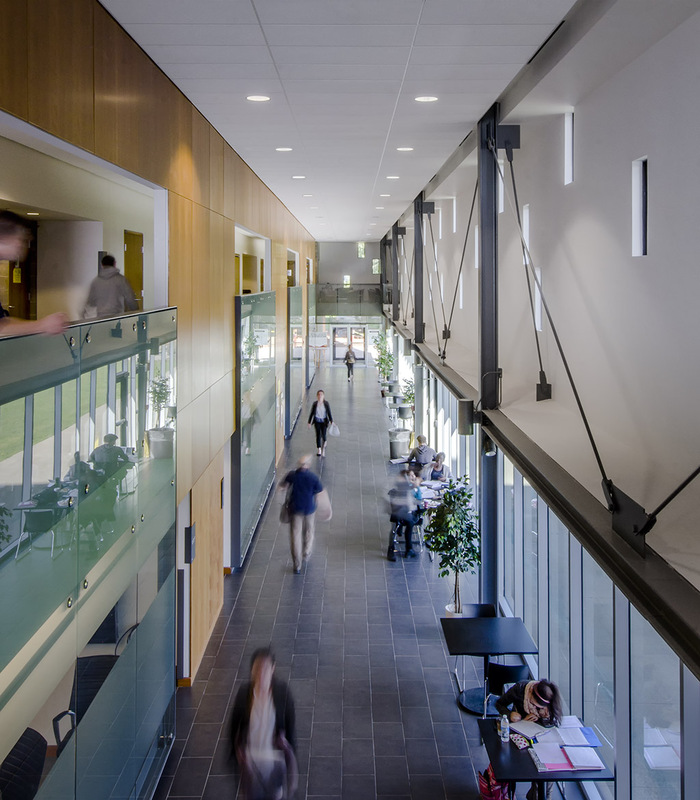 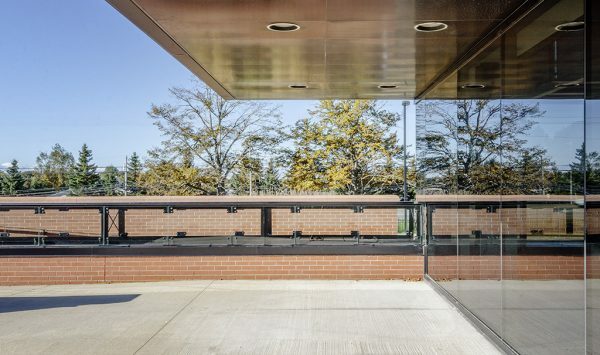 Don and Marion McDougall Hall combined the renovation of an existing building with a new addition for a combined area of 5 100 square meters. 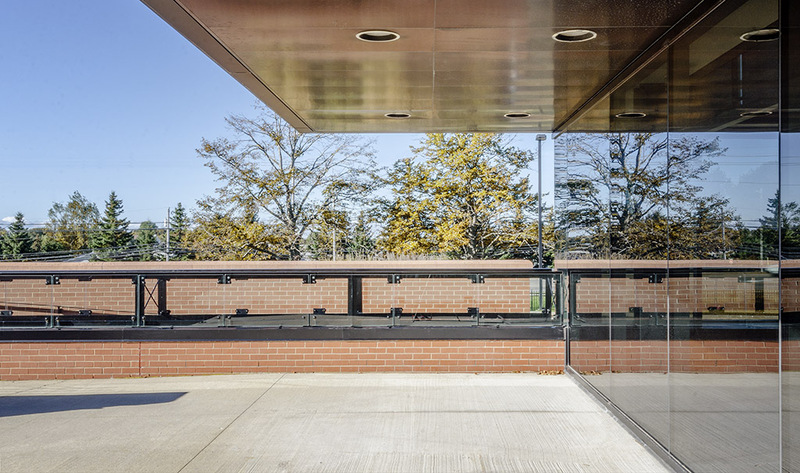 The renovation portion of this project involved asbestos removal and a complete retrofit of what was once a former residence. 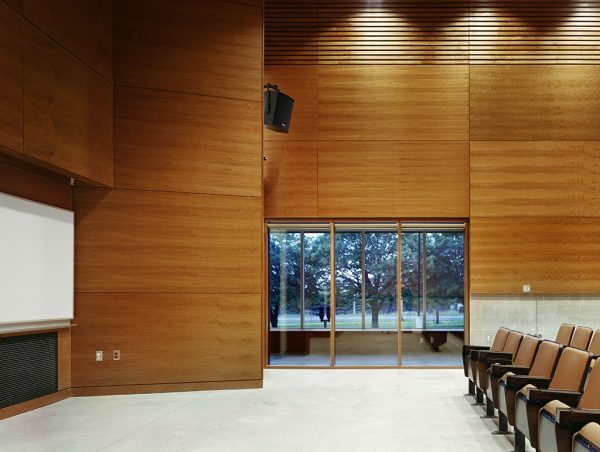 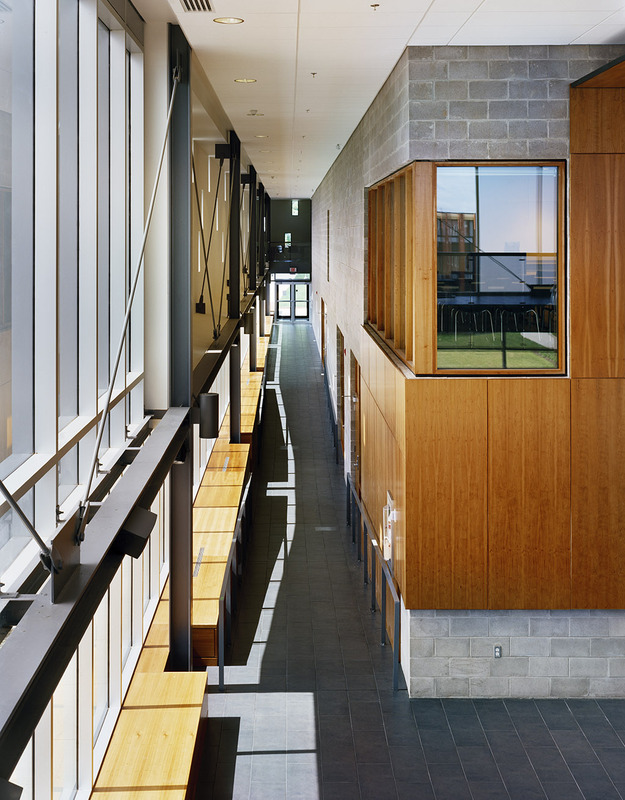 The addition comprises a pair of lecture halls flanked by double-height hallways. It is sustainably designed, using geothermal heating and cooling. 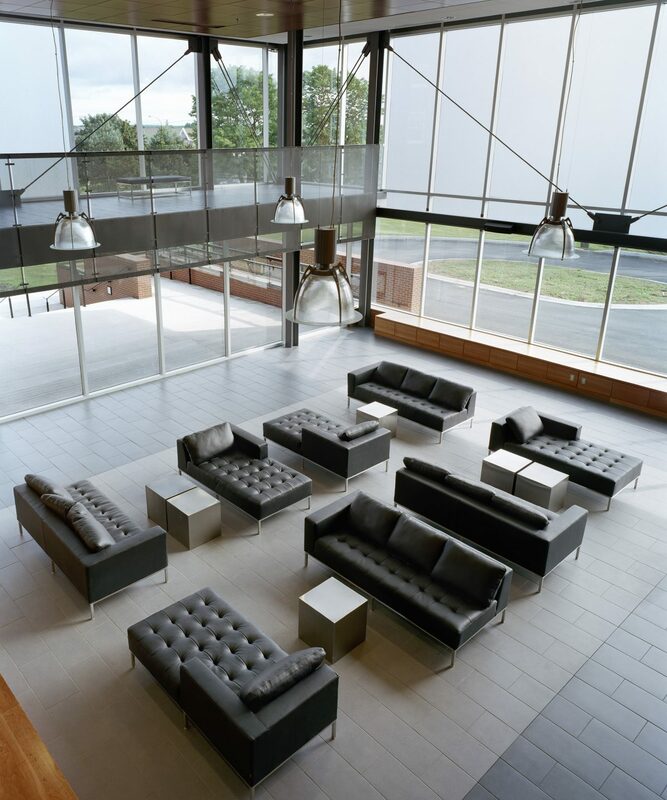 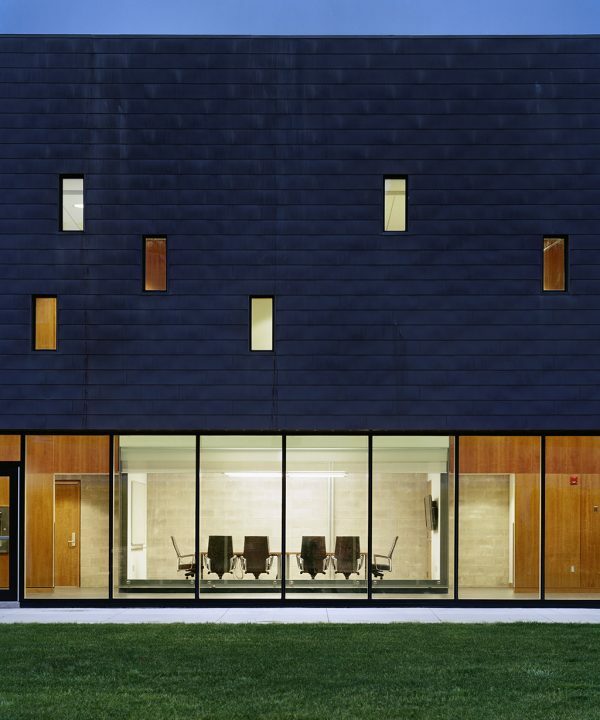 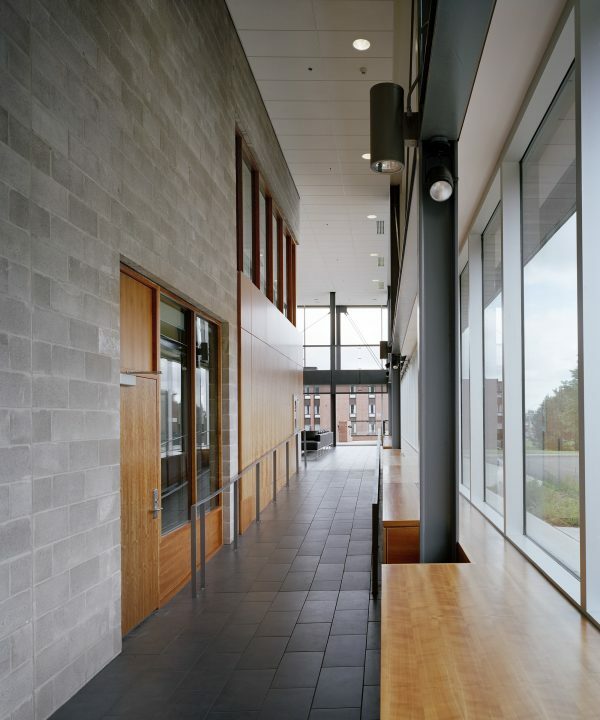 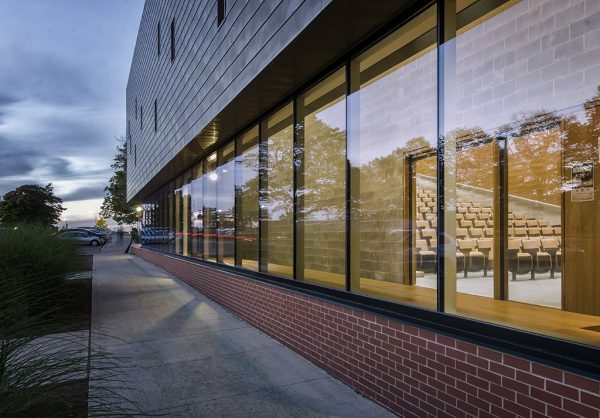 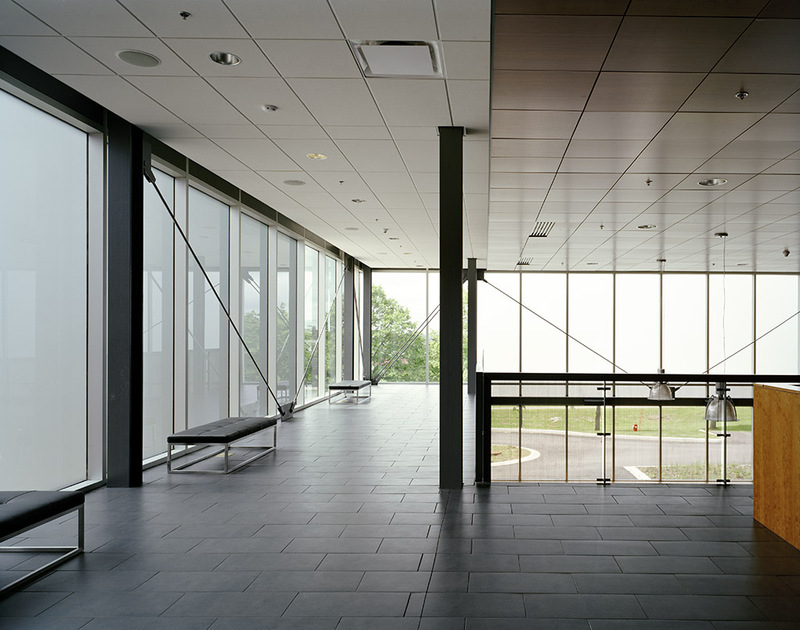 A large expanse of curtain wall maximizes the use of natural light.